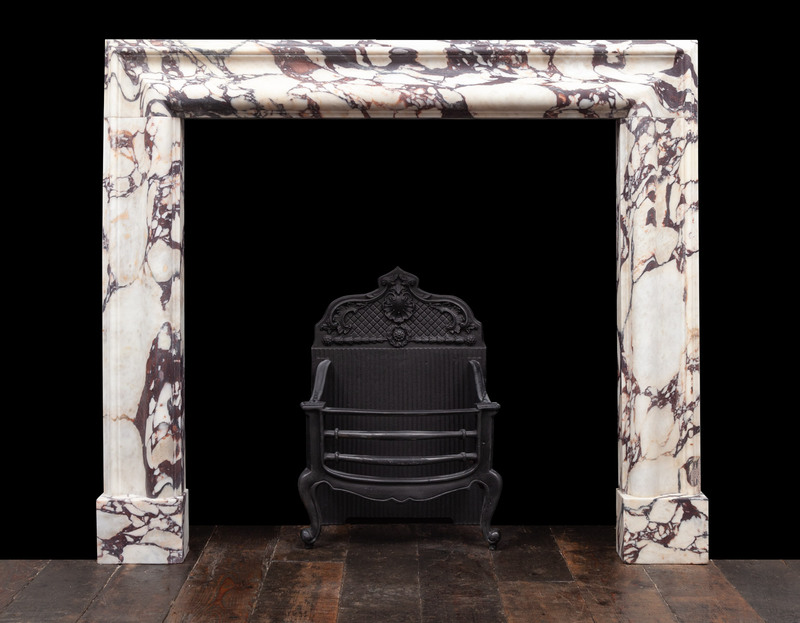 A bolection fireplace which comprises of a moulded frame on plain square plinths. 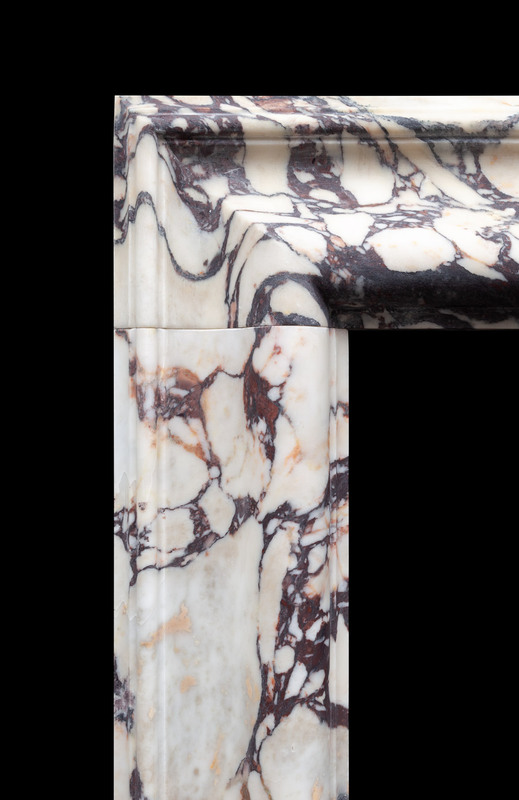 Carved from three solid pieces of marble with mason mitred corners. 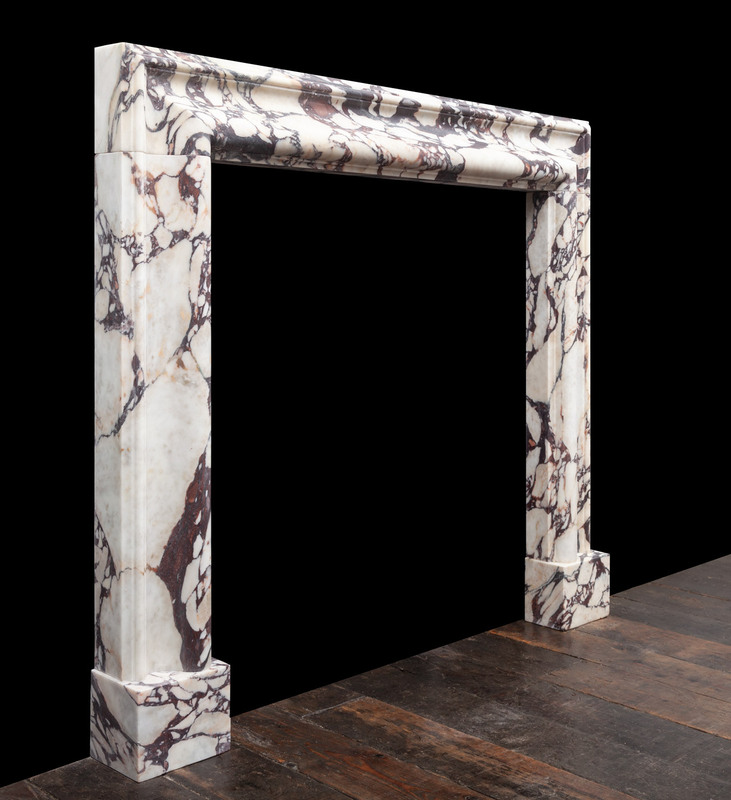 Made by Ryan & Smith from a beautiful block of Breccia Viola marble, sourced in Italy.